Lawyers for non profit organisation, Media Monitoring Africa and Support Public Broadcasting Coalition – SOS, have given the National Assembly and the Presidency until 5PM on Friday afternoon to give a timetable on when the SABC Board selection and appointment process will be completed. 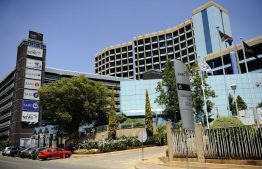 This comes as the Communications Committee is expected to start shortlisting candidates on Tuesday from the 233 nominations received for the eight SABC Board vacancies. The lawyers’ letter drafted by Dario Milo from Webber Wentzel is addressed to President Cyril Ramaphosa, National Assembly Speaker Baleka Mbete and Communications Committee Chairperson Hlengiwe Mkhize. Milo says SOS and Media Monitoring Africa are requesting a copy of the envisaged timetable that has been agreed on for completing the appointment process before March 19, 2019. They want a timetable which includes dates by which candidates will be shortlisted and when the shortlisted candidates will be interviewed. They also want dates of when the recommended names will be provided to the National Assembly and when candidates approved by National Assembly will be appointed by the President. The lawyer’s letter further says: “Please provide this timetable to us by no later than 17H00 on Friday, 22 February 2019”. The post NGO demands timetable on SABC Board selection process appeared first on SABC News – Breaking news, special reports, world, business, sport coverage of all South African current events. Africa's news leader..